When people think about traveling to a different city and smoking marijuana, the first city that comes to mind is Amsterdam in Holland. For years this has been the ‘go to’ destination for those wanting to smoke the cannabis plant. However Barcelona in Spain is fast becoming a destination for this activity. Whether you are with your friends or in Barcelona on vacation there are now cannabis clubs which offer you the same service as those in Amsterdam. Whilst they are not as open as the ones in the Dutch capital they do offer the same type of quality and are located in safe and secure places. The staff in these clubs generally have an extensive knowledge of cultivation and the plant itself. With this they are able to offer the best quality ganja and still be highly competitive than anywhere else. Cannibis Clubs are able to offer the best quality ganja and still be highly competitive than anywhere else. 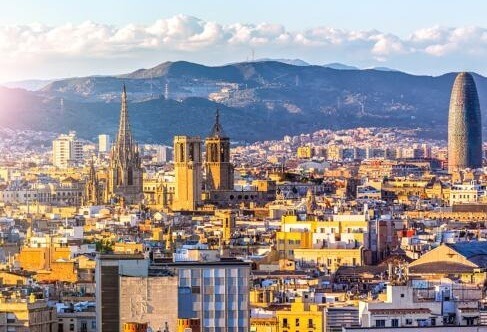 As a tourist in Barcelona we understand that getting pot can be difficult and often sketchy, however this has changed since the opening of these clubs. The club environment allows you to be in a secure place free from hassle with the knowledge that you are smoking quality product. The clubs make use of the law and ensure they are following it so as long as you follow the rules of the club then you can have a great experience. As this is an official club, you must apply to be a member, this normally takes a few minutes and is less than $30 making it a great investment for the year. Another major difference between Barcelona and Amsterdam places is the customer service on offer. In Barcelona the staff are passionate and have the time to give each customer the best experience. In Amsterdam the experience can seem to be a rushed one with they emphasis on sales and not the experience. When you next think of Barcelona, don’t automatically think of Guadi and the Sagrada Familia, instead think of it being a destination to go and smoke cannabis in a designated club.